Just last week, ASBA got the sad news about the death of founding member Sheldon Westervelt. Sheldon’s contributions to the Association were innumerable, and it’s hard to sum them all up on in one post. When professional engineer Sheldon Westervelt and a group of his colleagues in the sports facility industry decided over drinks that there should be a trade association with the goal of improving the quality of tennis court construction, they knew they were thinking ahead. They just didn’t know that they were thinking several decades ahead. 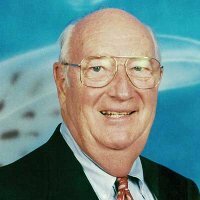 It was 1964 when Westervelt, Bob Caldwell (whose company, California Stucco Corp., would later become California Products), Gene Edwards of Malott Peterson Grundy, Robert Lee (of Lee Tennis Court Products) and several others held their first official meeting in Baltimore. They dubbed their group the U.S. Tennis Court & Track Builders Association. The business Westervelt and his father were involved in at the time of that meeting was William C. Westervelt & Sons. Westervelt now works internationally as a tennis consultant with Global Sports & Tennis Design Group. He remains a key player in the industry, having overseen the design and construction of nearly 7,000 tennis projects around the world, including indoor and outdoor facilities at parks, educational institutions, rehabilitation facilities, resorts and residences. In addition to his work in the industry, for which he has won numerous design awards, Westervelt has served on the faculty of the Athletic Business Conference, NRPA, Congress for Recreation and Parks, USPTA, PTR, the USTA Tennis Teachers Conference and USTA section meetings. He was a founding member of the USTA Tennis Facilities Committee. In 2006 he received the USTA’s 40-Year Volunteer Service Award. In addition, he has worked with the ITF and was a member of an ASTM subcommittee on tennis courts and running tracks. In 1994, he was honored with a life membership in the American Society of Civil Engineers. Addendum: Those who would like to express their condolences can use the family’s Caring Bridge page, where information concerning his memorial services will be posted as well. This entry was posted in December and tagged American Sports Builders Association, ASBA, Caring Bridge, CaringBridge, founders, life membership, Sheldon Westervelt, U.S. Tennis Court & Track Builders Association, USTC&TBA. Bookmark the permalink.